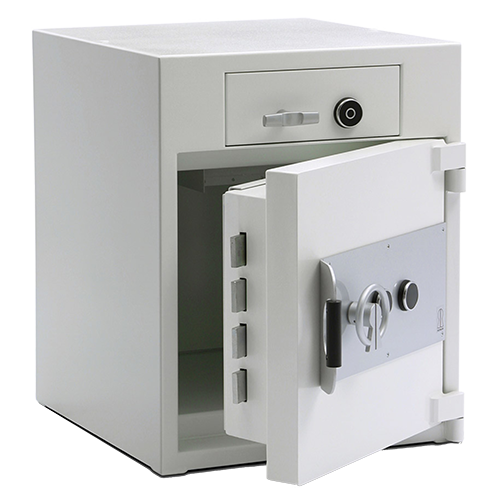 Our Deposit Safes allow lodgements to be secured within the safe without the need to open the main door, exposing other valuables already in the safe. They are particularly useful in banks or retail environments as they enable any staff member to secure takings from a till or counter at any time. 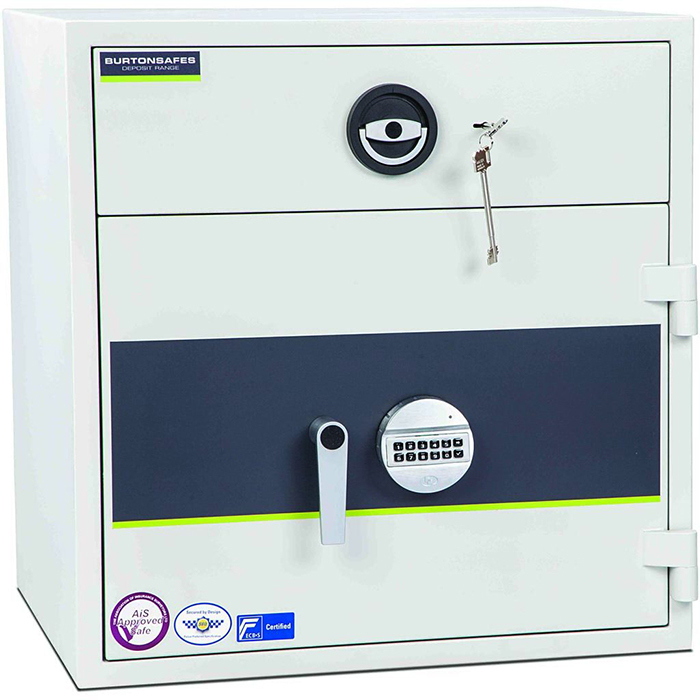 There is no need to wait for a manager or other authorised personnel to open the safe. By minimising the amount of times the safe door has to be opened throughout the day and who has access to the safe, security is greatly improved. In addition, staff cannot be forced to open the safe under duress, which enhances their own personal safety at work. For your peace of mind and for the normal requirements of your insurer, you should always insist on a safe with an independently tested drawer tested to EN 1143-2. This test means the entire deposit drawer as well as the safe has been tested. This important in preserving the security of a deposit safe (as post factory modifications can weaken the integrity of a safe). If these modications are made, the safe will no longer comply with the standard and should not bear the certification badge.